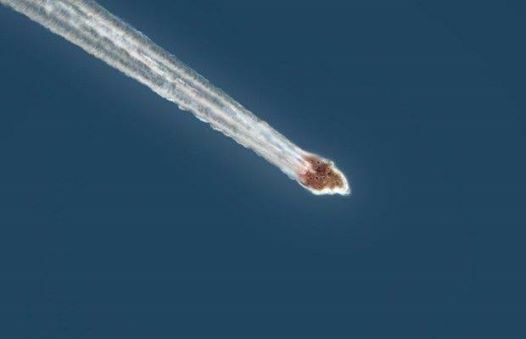 Meteor: Did a meteorite touch down in Xonacatlán, Mexico? 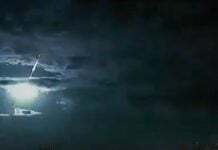 Home Sky Fireball, Meteor, Comet Meteor: Suspected Meteorite Fall in Xonacatlán Township, State of Mexico – UFO? Meteor: Suspected Meteorite Fall in Xonacatlán Township, State of Mexico – UFO? 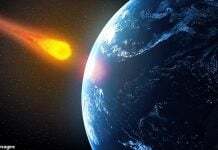 A meteor probably touched the ground in Xonacatlán Township, State of Mexico. The meteorite has been seen falling from the skies by residents of the community of “El Espino”. Witnesses also report a loud, low-frequency noise. 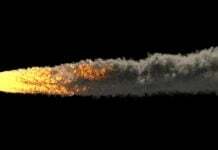 Meteorites are often accompanied by sizzling or rumbling sound when entering our atmosphere. Residents of ‘El Espino’ describe this mysterious object as a loud, five feet big rock with a smoke like gray-white tail. They suggested that the meteorite impact location is located just a few meters from their houses. Mexican officials deployed emergency units and an helicopter to calm and take care of people. Now everybody is looking for the stone from heaven. But without any success! A giant meteorite as described by the residents of ‘El Espino’ would have created a huge crater, clearly visible to the naked eyes. So my question is: Was this strange object really a meteor?